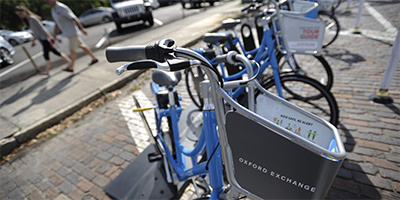 At 4:16 pm on July 4th, Coast Bike Share reached a milestone 10,000 members! To celebrate, Coast organized multiple events for the month of July with History Bike Tampa, Pedals and Pints at Ferg’s, and the Blazing Saddles Rolling Scavenger Hunt. Coast also recently rolled out it’s newly update smartphone app, Social Bicycles (for both Android and iOS) featuring a smoother, more intuitive interface and faster refreshing. Congratulations, Coast! It looks like nothing but smooth coasting ahead!